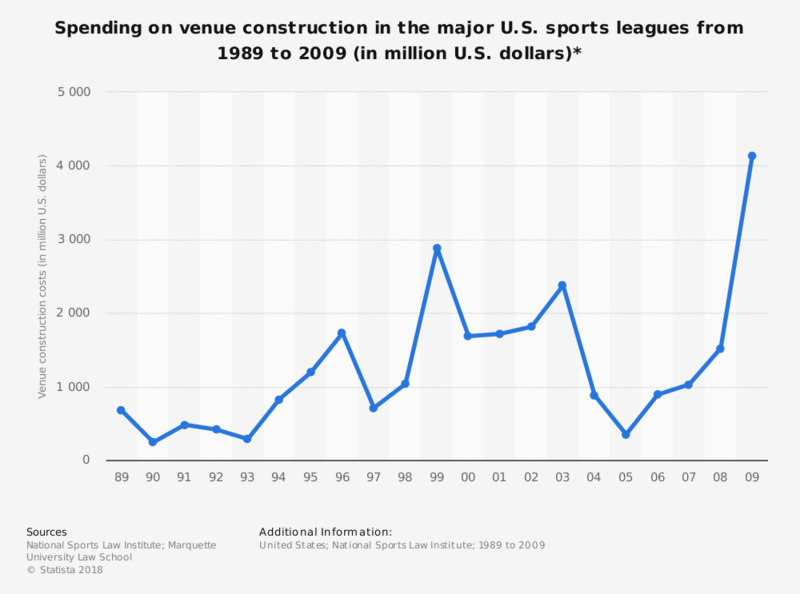 This graph depicts the total amount spent each year on construction of venues for teams of the major sports leagues in the U.S. In 1992, 414 million U.S. dollars were spent on venue construction. * The sports leagues included are the NBA, NFL, MLB, NHL and MLS.